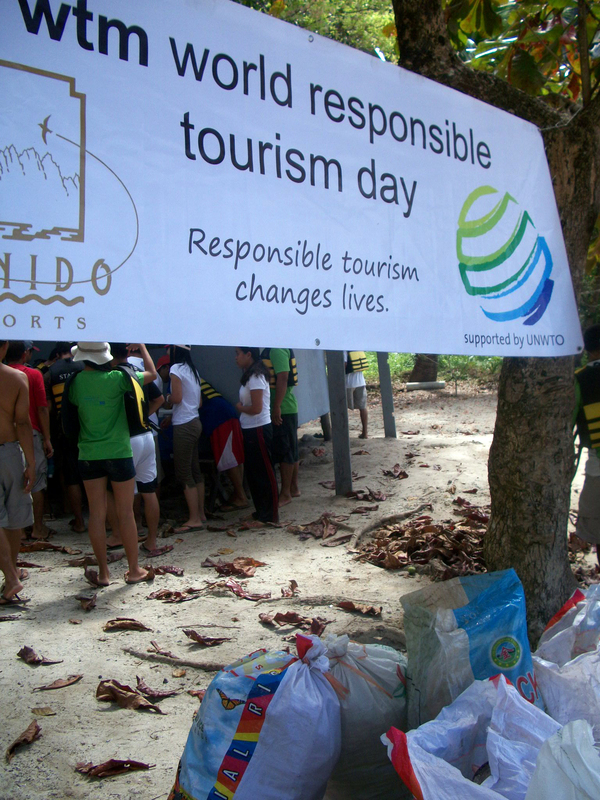 El Nido Resorts joined the rest of the tourism community in celebrating WTM World Responsible Tourism Day last November 10, 2011 by hosting coastal and underwater cleanups around El Nido and Taytay, followed by snacks and drinks. Ninety-seven staff members from Miniloc, Lagen, and Apulit Island Resorts selflessly volunteered their off-duty hours to pick up 510.7 kg of trash from El Nido and Taytay’s beaches and reefs. Guests were treated to a free round of Copa Verde cocktails and pica-pica as they attended the Green Hour presentations by our Environmental Officers. The Green Hour presentation highlights the steps El Nido Resorts has taken towards becoming a success story in responsible tourism. The day’s haul: Styrofoam = 14.5 kg, glass = 106.4 kg, rubber = 14.5 kg, plastic residuals = 245.3 kg, plastic bottles = 82.5 kg, metal = 17.5 kg, rope = 14.5 kg, and shoes (actual shoes and none of them match!) = 15.5 kg. Previous Where does the garbage go?